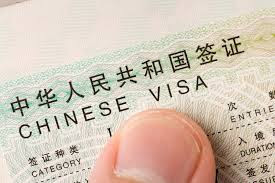 From January 1st 2013, the Chinese government has introduced a new policy that allows for tourists to transit in China for up to 72 hours without a Chinese visa. This policy was introduced in the hopes of increasing tourism into China and increasing business for not only the tourist industries in China, but also tourism industries in other countries. With this policy, there are many rules which must be followed in order to use this service. Below, I will explain what criteria must be met in order to use this service and certain rules surrounding the policy. In order to use the 72 hour transit without visa policy, the traveller must be a citizen of one of the 45 countries that China has allowed to use this service. These 45 countries are based on the highest tourist markets to China in 2011. For a full list of the countries please click here. In order to use this service you need to have already booked flight tickets and visas (if applicable) for a 3rd country. As this is a transit policy, the whole idea is that you will be travelling to a 3rd country, after you have spent up to 72 hours in China. Where can you travel to in China? These are the only airports you can travel into that allows you to use the 72 hour transit without visa policy. There are discussions currently about plans to expand into Guangzhou and Chengdu. When you check in at the airport of your 1st country (e.g. London Heathrow), you should inform your airline that you will be wishing to use the 72 transit without visa policy whilst you are in China. The airline will check that all of your information is in order. The airline will then present a list of people on their flight who are using the service to the Chinese border agency 边检. When you are going through customs at the airport, the Chinese border agency will have your name listed; they will check your documents (including whether you have 3rd country documentation i.e. flights/ visas) and then they will stamp your passport. When you have received a stamp, your 72 hour transit period will begin. When you leave China, you will receive a second stamp indicating that your transit period has been annulled. What is meant by a 3rd country? o A 3rd country is a country you will go to after being in transit in China. o The 3rd country cannot be the same country as the 1st country (e.g. London – Beijing – London). The 3rd country must be different. o Hong Kong and Macau are being treated as 3rd countries in this policy, separate from Mainland China. o Once in these cities, you cannot leave the city proper. o You can only enter from the airports (Beijing Capital International Airport, Shanghai Pudong Airport and Shanghai Hongqiao Airport). You cannot enter by train, car, boat or other forms of transport. Can you extend the policy? o In no circumstance can you extend the 72 hour transit without visa policy. • Hassle free before departure. No need to buy and apply for a visa. • Will help increase tourism in China and promote China as a holiday destination Furthermore, will bring further business to tourist companies from countries that enjoy this service.